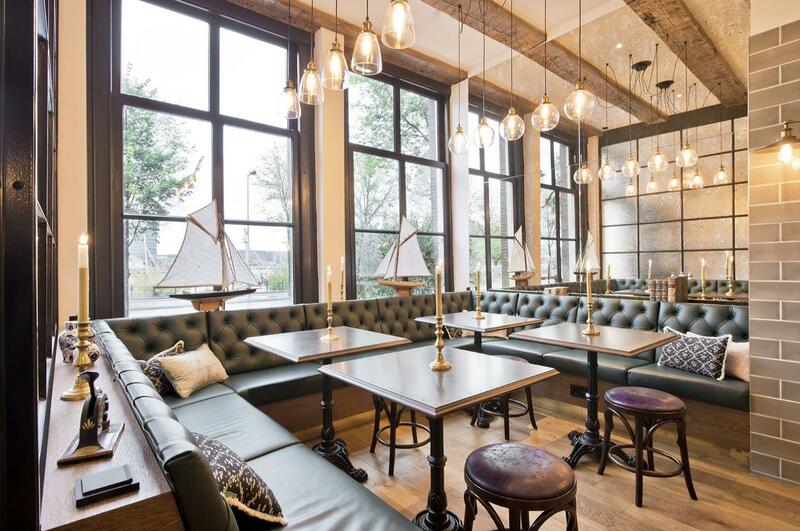 RIBA award winning interior designer and owner of Fusion Interiors Group, Hilary Lancaster, reveals her second hotel project in Amsterdam. With an interior design career spanning 20 years, Hilary Lancaster is a talented, creative designer that has a reputation for bringing inspiring designs to every brief she is given. Recently, she and her company, Fusion Interiors Group, were appointed to name and brand a hotel project in Amsterdam, as well as designing the interiors. 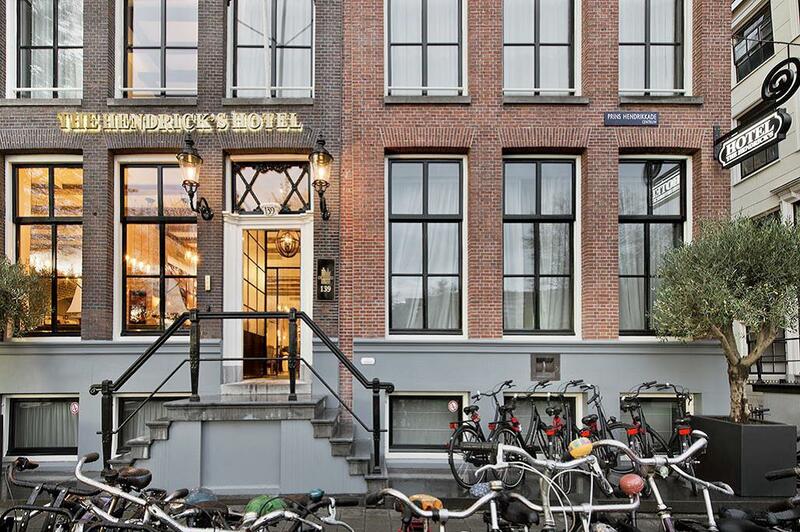 The result of the project is The Hendrick’s Hotel; named after Prince Hendrick, the hotel is made up of two buildings joined together on the Prins Hendrikkade in Amsterdam City Centre. The buildings, which were originally constructed in the 18th Century and operated as a bank until the 1950’s, have been converted into a twenty-five bedroom boutique hotel with a living room style lobby and breakfast area. 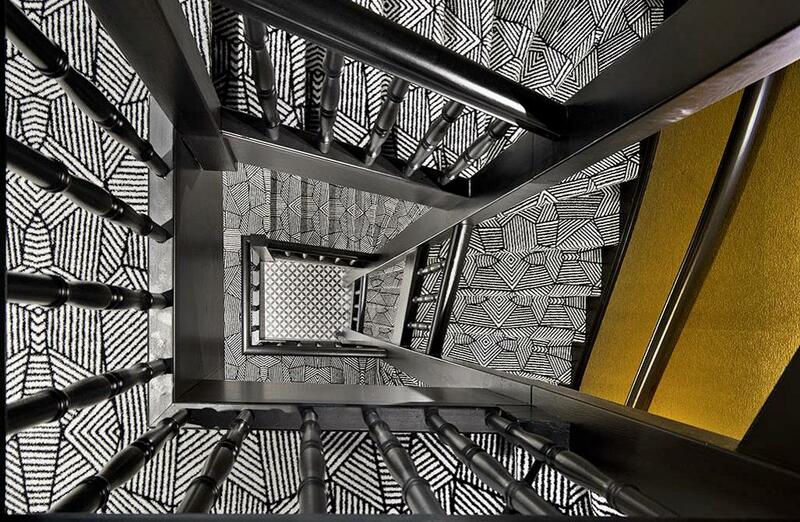 Targeting both leisure and business travellers, the design concept for The Hendrick’s Hotel draws on the history of the buildings’ location and the personality of the Royal Prince the hotel is named after. A colourful character, Prince Hendrick’s mischievous life and love of women are subtle themes that run through the hotel – each of the rooms are named after women who was important in his life. “Once we created a theme around Prince Hendrick, the concept of the hotel took on a very fun and quirky feel, while respecting the history of the building,” Hilary Lancaster explains, discussing her design inspiration, “Every room is different [but] there are four themes that define certain room types.” These four themes that inspire the rooms include ‘Royal’, ‘Bank’, and ‘Romance’. 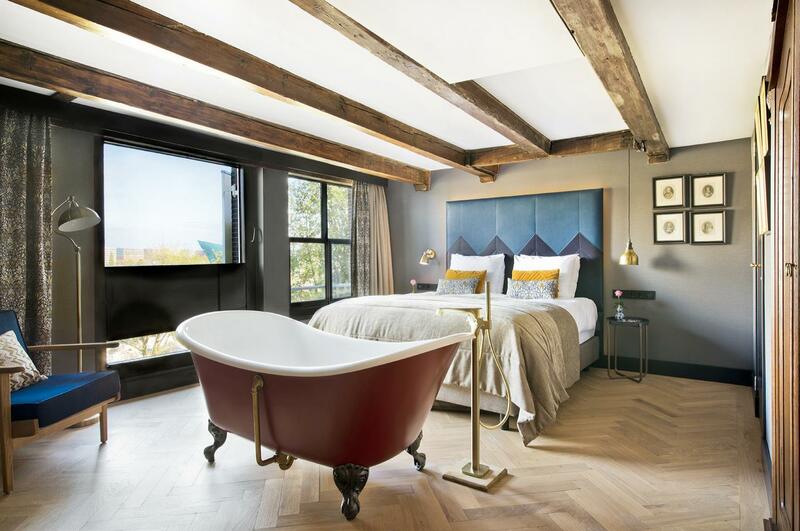 The ‘Royal’ rooms feature a dark blue and gold colour scheme, invoking sophistication and exclusivity; two of these rooms have freestanding baths situated at the end of the beds. The ‘Bank’ theme is obvious in other rooms, with rich green wallpaper and framed bank cheques hanging from Victorian inspired picture chains. Meanwhile, a soft pale green and pink colour scheme, gilt mirrors and hand-drawn illustrations of women throughout history create the ‘Romance’ theme within two of the hotel’s suites. 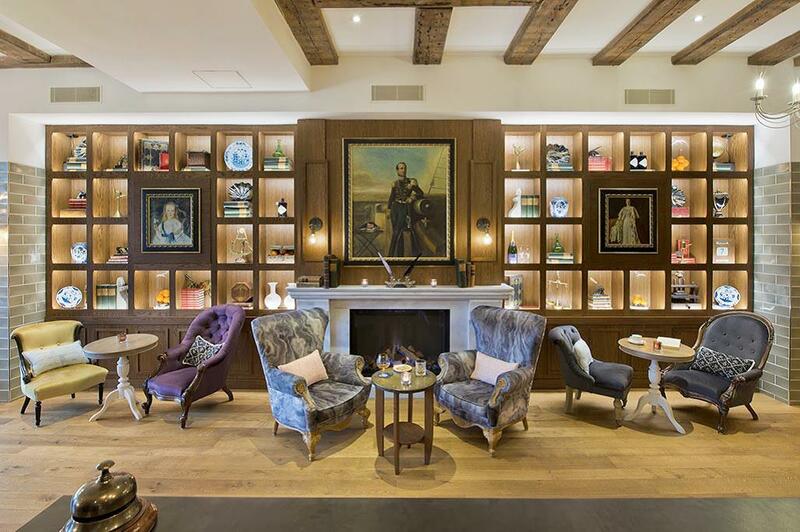 Downstairs, the lobby and breakfast area have been designed to look like Prince Hendrick’s living room; bookshelves are dotted with unique antiques, sourced from around Europe to feel like Prince Hendrick’s personal collection. Ropes are suspended as light fittings, and a yacht wheel hangs on the spiral staircase, adding a nautical feel to the rooms. Lancaster has chosen these design elements to create a unique atmosphere for guests, letting them experience what it must have been like to live in the Prince’s world.